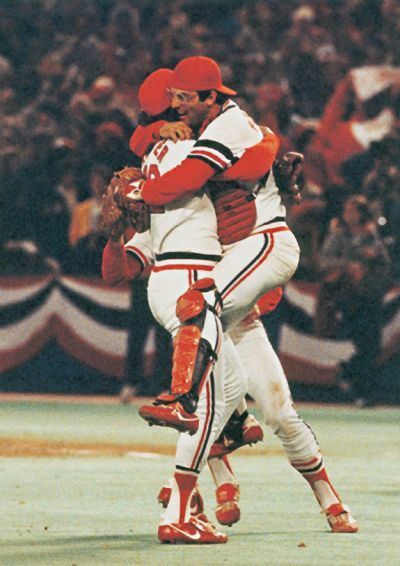 The 1982 World Series matched the St. Louis Cardinals against the Milwaukee Brewers, with the Cardinals winning in seven games. The Cardinals won the National League East division by three games over the Philadelphia Phillies, then defeated the Atlanta Braves, three games to none, in the National League Championship Series. The Brewers won the American League East division by one game over the Baltimore Orioles, then defeated the California Angels, three games to two, in the American League Championship Series. The 1982 World Series Championship represented the last time (as of 2009) that the National League won back to back World Series. Though the teams had never met, the cities had an existing commercial rivalry in the beer market, as St. Louis is the home of Anheuser Busch while Milwaukee is the home of Miller Brewing. This led to a few minor references to the Series being nicknamed the "Suds Series." Paul Molitor set a World Series record with his fifth hit, in the 9th inning of Game 1. Robin Yount would set another record in the seventh inning of Game 5 by becoming the first player in Series history to have two four-hit games. Cardinals catcher Darrell Porter was given the Series MVP award. Brewers pitcher Mike Caldwell, who won two games, would have been a strong candidate, as well as Molitor. Paul Molitor would eventually win the Series MVP Award 11 years later as a member of the Toronto Blue Jays. As it was, the winning team won the MVP. The only player on the losing team to win the MVP was Bobby Richardson of the 1960 New York Yankees. Both participants are currently in the NL Central, due to the transfer of the Brewers from the American League to the National League in 1998. This raises the possibility of the Brewers eventually playing a World Series in two different leagues. That has happened twice before, taking the 19th Century contests into account: The Brooklyn Dodgers of 1889 and 1890, and the Cardinals, who won the 1886 Series when they were in the Association. In 1982, the surprising Brewers stormed their way to the top of the American League for their first World Series appearance twelve years after moving to Milwaukee (from Seattle) as the expansion Pilots. Manager Harvey Kuenn had assembled a defensively dominant line-up that featured Mike Caldwell and ace reliever Rollie Fingers on the mound as well as outstanding infield play from shortstop Robin Yount. Milwaukee was no joke at the plate either knocking out two-hundred sixteen homers during the regular season and earning the nickname "Harvey's Wallbangers". Unlike their American League opponents, the National League's St. Louis Cardinals, were no strangers to postseason play as they prepared to enter their thirteenth Fall Classic. If victorious, the "Redbirds" would emerge as #2 on the all-time titles list with their ninth crown (second only to the New York Yankees with twenty-two at the time). Apparently, inexperience and home-field advantage were not factors in Game 1 as the Brewers tagged four different Cardinals' pitchers for a shocking seventeen hit, 10-0 affair. Paul Molitor, Milwaukee's leadoff specialist set a new World Series record with five hits and Yount followed close behind with four. Caldwell tossed a three hit masterpiece and Ted Simmons (a former Card) rubbed it in the face of former fans at Busch Memorial Stadium with a "wallbanger" of his own. Game 2 also appeared to belong to the rookies, but the home team found the resolve after trailing 4-2 midway through the contest. The turnaround was due in part to an unlikely hero named Darrell Porter. An underachieving free-agent (who had signed in 1980 to replace Simmons behind the plate) Porter had put up less-than-stellar numbers in his first two years making him less-than-popular with the fans. All that would change though as the catcher nailed a critical two out, two run double in the sixth to turn St. Louis in the right direction. With the game deadlocked at 4-4 in the eighth, Card's pinch-hitter Steve Braun managed a bases-loaded walk off reliever Pete Ladd for the one run advantage. The lead stood through the final inning thanks to ace reliever Bruce Sutter and the Series was tied at a game apiece. Another unlikely MVP candidate, rookie Willie McGee (who had managed four homers all season) stepped up in Game 3 and knocked not one, but two blasts of his own out of Milwaukee's County Stadium. Along with his one man, home run derby that tallied four RBIs, McGee also made two spectacular defensive plays in center field. First, he caught a 400-foot Molitor drive in the first inning. Then he robbed Gorman Thomas of a home run in the ninth with a leaping, above the fence snag. Despite the 6-2 win, the Cardinals had still suffered a loss with an untimely injury to starting pitcher Joaquin Andujar (who was working a three hitter when he took a Simmons liner in the knee). At first Game 4 appeared to belong to the Cardinals again as they entered the seventh with a 5-1 advantage, but the never-say-die Brewers came back with a tenacious, six run rally in which Yount and Thomas both connected for two run singles on the way to a 7-5 turnaround. Caldwell returned to face Bob Forsch in Game 5 planning to repeat his opening performance, but was ultimately crushed for fourteen hits. Unbelievably, the horrendous effort was good enough to win (after two out relief from Bob McClure) thanks to Yount who saved the day with another four hit performance that set a record for the first player to have two, four hit games in World Series competition. Now down three-games-to-two, the Cardinals returned home determined to find the resolve much like their rivals had. Rookie John Stuper took the team on his back and threw a complete game, four hitter (allowing only one run) as his teammates followed suite tagging the visitors for an embarrassing thirteen runs. 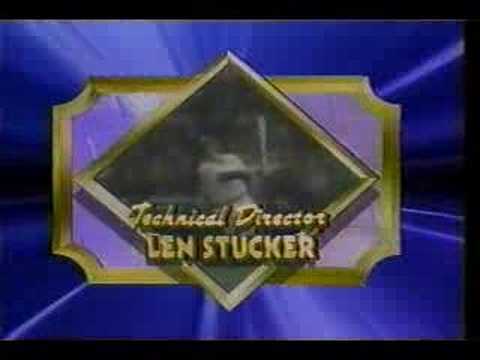 Keith Hernandez and Porter both belted two run homers and Hernandez wound up with four runs batted in. Dane Iorg (St. Louis' designated hitter) drilled two doubles and added a triple in the slugfest as well. A rejuvenated St. Louis team returned for Game 7 with a rested and rejuvenated Andujar. The recovering ace remained strong against Pete Vuckovich, despite entering the bottom of the sixth down 3-1. Inspired by their injured teammate's exertion, the Cardinals got a game tying bases loaded single from Hernandez and a go-ahead base hit from George Hendrick. Porter came up clutch again with a run scoring single in the eighth that was equally matched by Braun for the insurance run. Despite their best efforts, Milwaukee fell 6-3 and the National League champs went on to become World Champions second only to the New York Yankees in all-time wins.